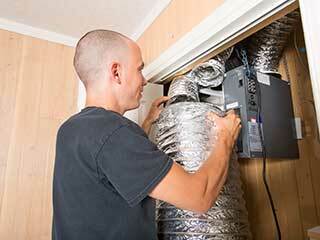 Home Our Air Duct Services Air Duct Cleaning Why You Should Keep Your Air Ducts Clean? Very few people genuinely enjoy getting around to their mundane maintenance tasks at home, but sometimes these tasks simply have to be done. One such task includes arranging a professional to clean your air ducts - very important for maintaining good indoor air quality. Here are some of the most important reasons you should keep your ducts clean, as shared by our experts. Nobody enjoys fungus and mold spreading throughout their homes. The growth of such forms of life in your ducts can lead to hygiene issues and severely affect the quality of the indoor air in your home. You don't want to risk spreading mold and fungal spores through your air ducts, it can also worsen allergies and respiratory disorders. Just one of the many good reasons why you should regularly have your ducts cleaned! If it has been some time since you used your HVAC system, or you haven’t been paying much attention to its condition, you should know that it is not unheard of to have vermin such as rats and mice make a home in your vents. If you’ve noticed any droppings, hair or even worse, dead animals in your ducts, you may have a serious rodent infestation on your hands. An essential part of your regular maintenance should include checking your ducts for traces of these kinds of animals. Over time, your system will most likely get bogged down by dirt and debris as it filters out the dust and contaminants present in your home. This dirt can affect the performance of your system and hamper its ability to properly control the airflow in your home. As a result, regular cleaning of your ducts can also reduce the amount you're paying on your energy bill and save you money in the long run. HVAC systems are often large contributors to our regular electricity bills, so you want to ensure your system is not having to work harder than it needs to and costing you more than necessary. Another benefit to keeping your ducts clean is that it will be better able to clear any unpleasant smells such as cigarette smoke, dampness or garbage. A dirty one will conversely circulate nasty smells like this throughout your home or office. If you have any further questions on this subject, don't hesitate to contact us at Air Duct Cleaning Richmond – we'll be delighted to discuss things further with you!